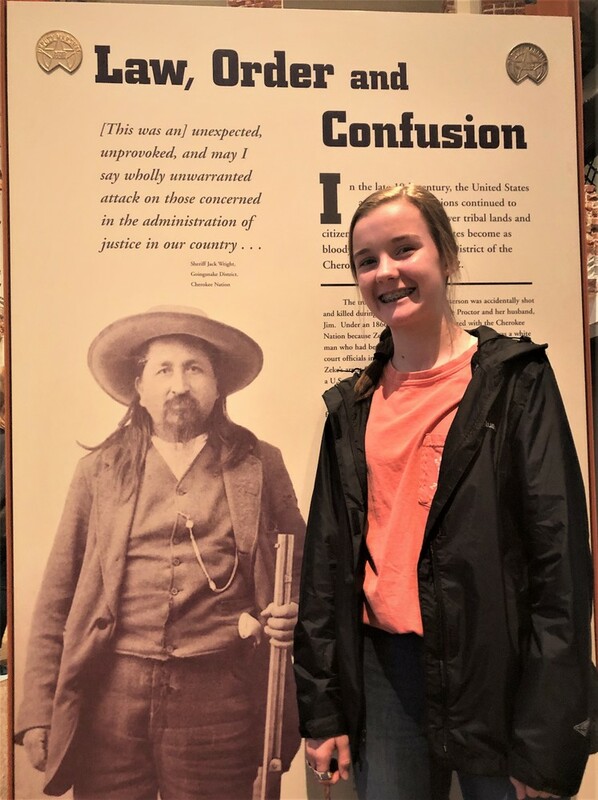 Eighth grader Ruby Jones stands beside a display at the Fort Smith National Historic Site on March 13th. Her Arkansas History class went there because of its recent study of Judge Isaac Parker, the so-called "Hanging Judge", who gained notoriety in the late 1800's. The man pictured in the display is "Zeke" Proctor, a former Deputy U.S. Marshal who served under Judge Parker but who had a criminal past of his own.